Very few people – if any – know more about beer than Dr. Charlie Bamforth. 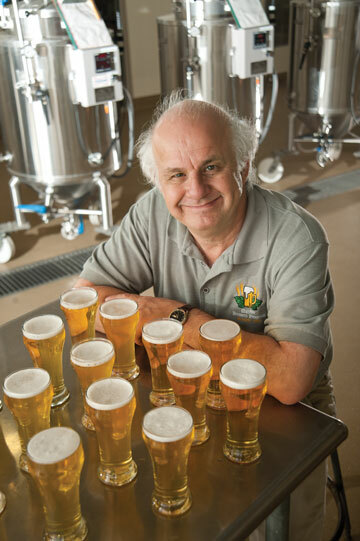 While the recently-retired UC Davis Professor of Malting & Brewing Sciences has many accomplishments and titles, in the beer world, he is affectionately referred to as the “Pope of Foam.” Beer-lovers, you won’t want to miss this one! From starting his beer career at Bass to his time as the President of the Institute of Brewing and Distilling, Charlie has seen the world and the beer that goes along with it. In this episode, you’ll hear Charlie share some of his most profound beer knowledge, stories from his travels and experiences, and even some hot takes on beer pong! Wit and wisdom color this episode from start to finish, and retirement-aside, expect to see plenty more from Charlie for years to come, whether it’s about beer, soccer, or otherwise. 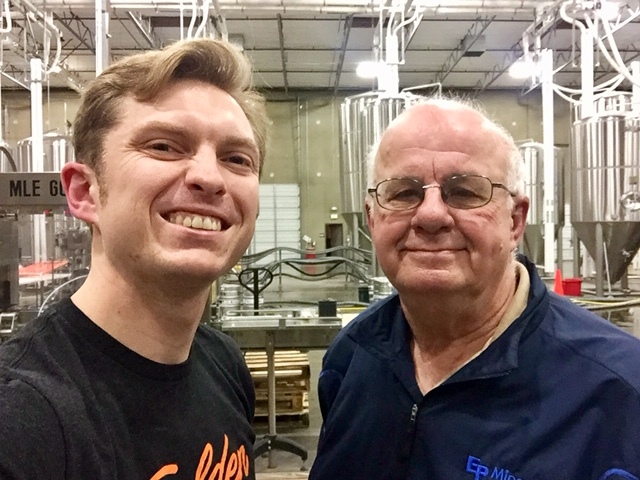 Founded in 2011 at their original Curtis Park location, Dr. Bamforth selected their second, much larger Natomas brewery for our interview due to its location on Professor Lane (get it? )…plus he’s a fan of the amazing beers brewmaster Ryan Graham is pumping out. 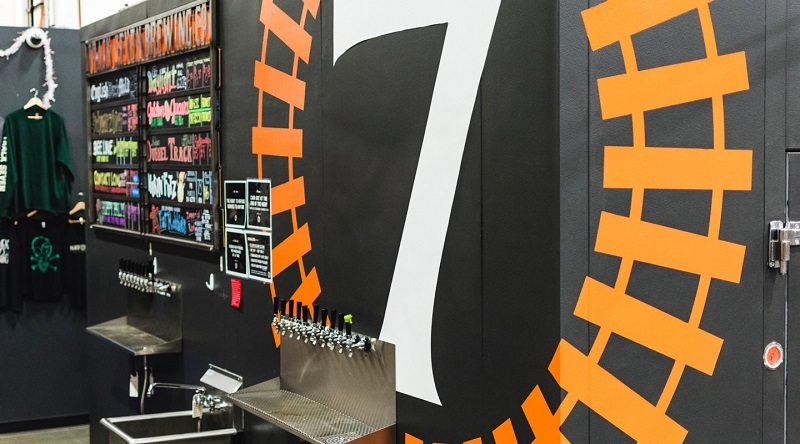 Named after the Western Pacific railroad that runs through Sacramento, expect to find everything from classic West Coast IPAs to creative beer concoctions across many styles at both of Track 7’s locations. Inspired by our beer-of-choice for Round 1, we open up with an in-depth conversation about Sierra Nevada and Founder Ken Grossman. Charlie defines what he means by the “wholesomeness of beer,” from its nutritional value to how it contributes to happiness. We wrap up Round 1 with a story from Charlie about the social element of beer in English pubs. This episode’s “Tipsy Talk” takes us everywhere from Charlie’s thoughts on the most underrated ingredient in beer to his love of football (and his unrealized career as a soccer goalie). 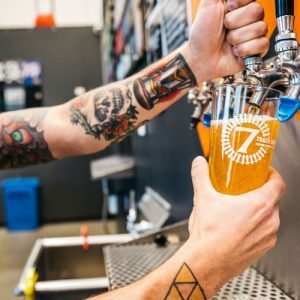 Resilience IPA – After Ken Grossman put out the call to breweries across the country to brew a beer where all proceeds would benefit those affected by the Butte County Camp Fire, 1,500 breweries raised their hand to help, including Track 7. This malty, West Coast IPA brewed with Cascade and Centennial hops is true to the style that put Ken and Sierra Nevada on the map, and Track 7 more than did justice to Grossman’s recipe. Bloomer’s Cut IPA – One of Track 7’s semi-regular West Coast IPA, this one utilizes Amarillo, Cascade, Mosaic, and Citra hops and all base malt for a particularly bright IPA. Beer: Tap into the Art and Science of Brewing – One of Charlie’s most popular books, this book covers everything from the history of brewing to the evolution of brewing processes over the years. Standards of Brewing: Formulas for Consistency and Excellence – Dr. Bamforth knows a thing or two about brewing a good, consistent beer, and this book covers the procedures that brewers can use to create and audit a brewing program built around consistency and quality. Track 7 is located at 826 Professor Ln #100, Sacramento, CA 95834. Brewery hours are 3pm to 9pm Monday through Thursday, 12pm to 10pm Friday and Saturday, and 12pm to 9pm Sundays.